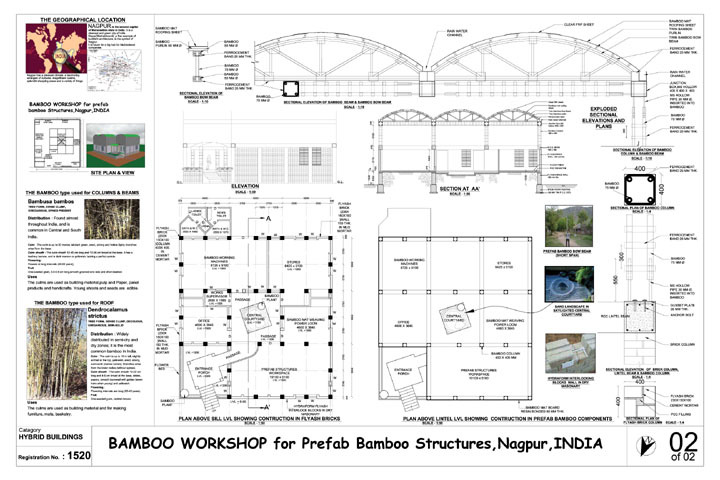 This structure utilizes arched bamboo bow beams for the ceiling structure. Fly-ash bricks are used for the first storey walls and bamboo columns for the second storey. 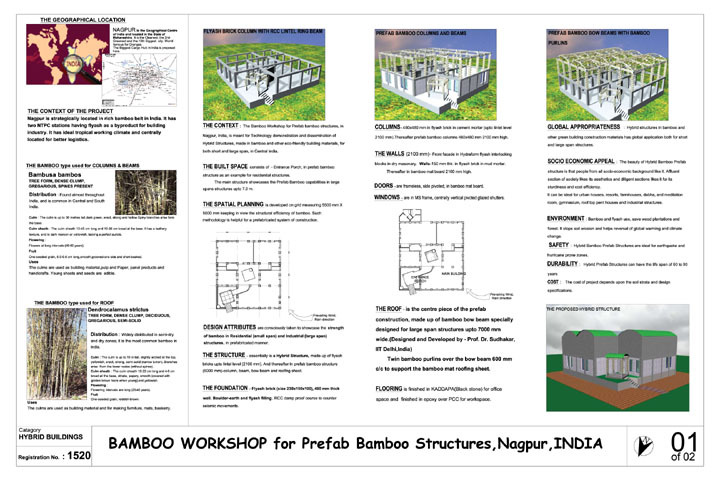 The species of the bamboo used in this structure are common and abundant throughout India.